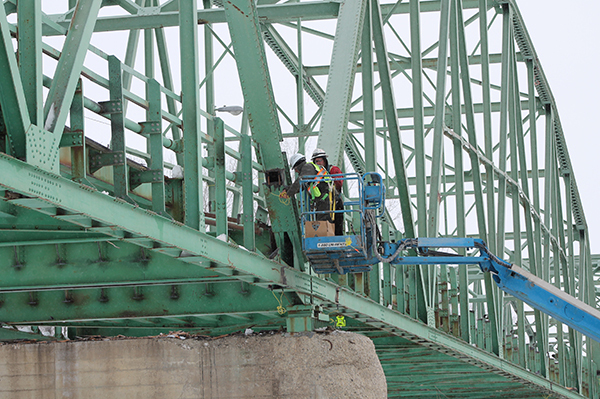 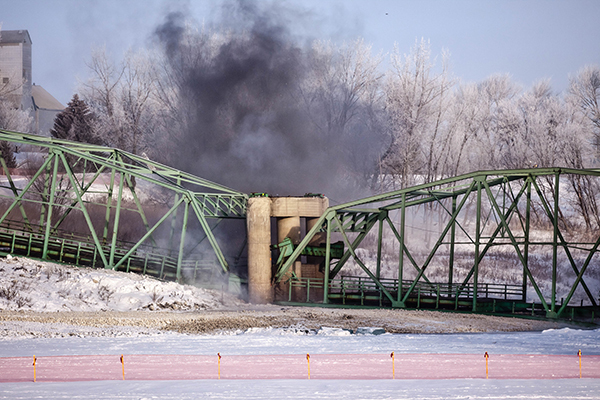 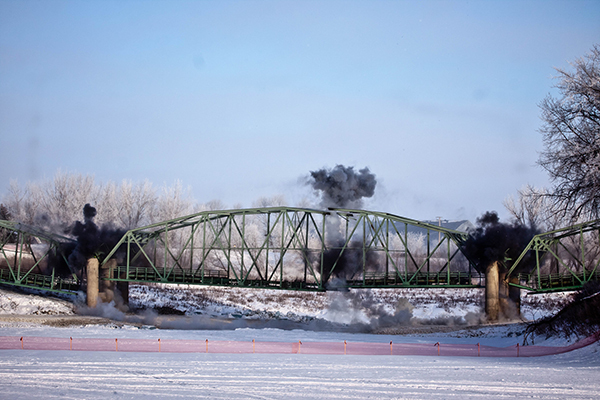 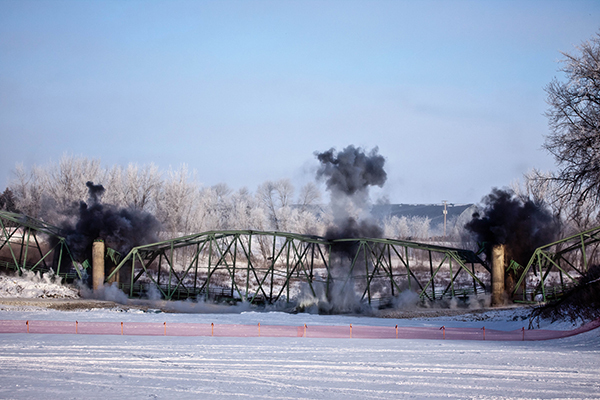 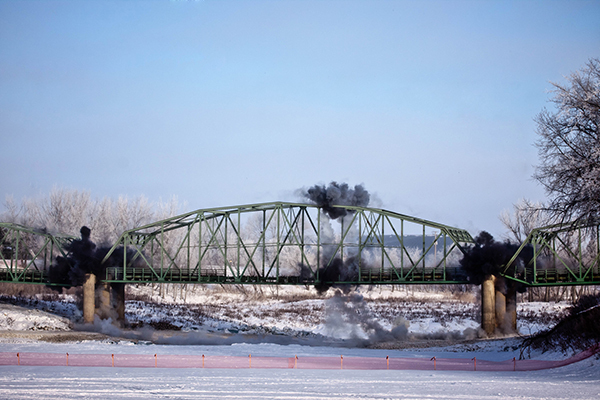 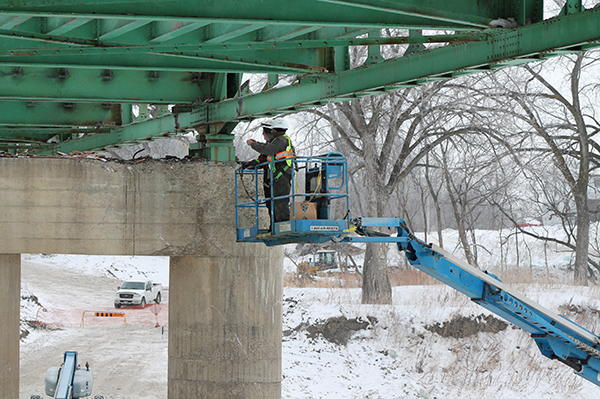 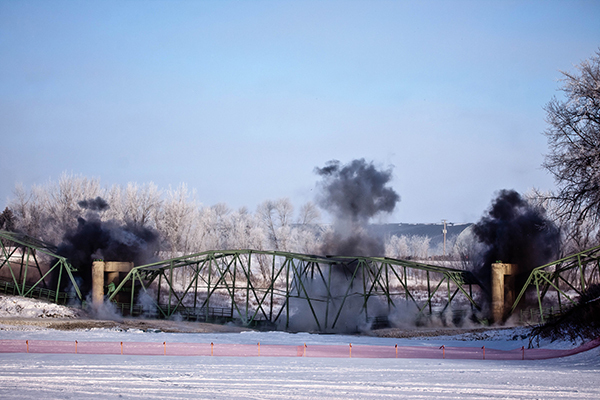 Explosive demolition of a steel tressel bridge crossing the Red River. 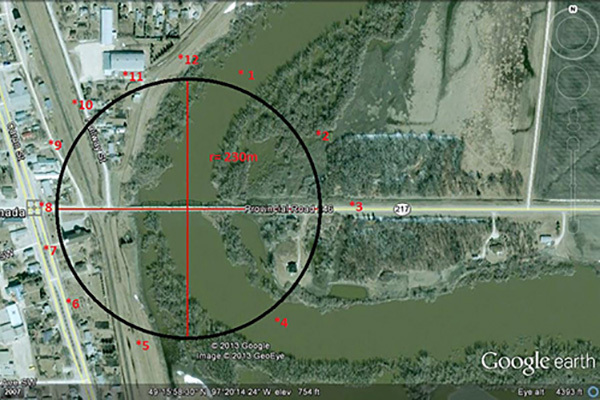 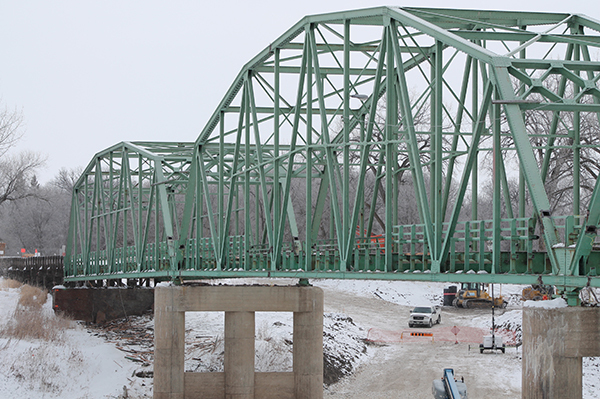 The bridge consisted of three spans 150-210-150 access roads were constructed from the shore to each pier leaving the center river channel open. 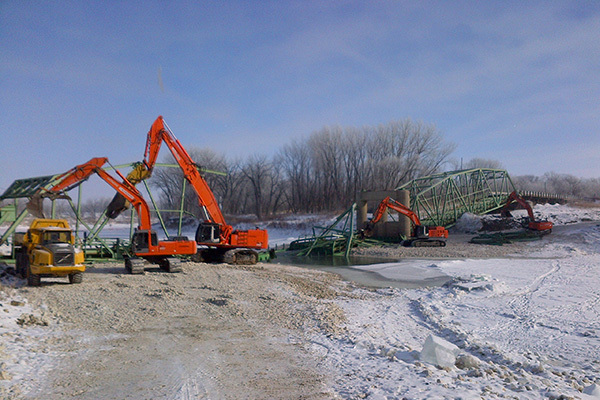 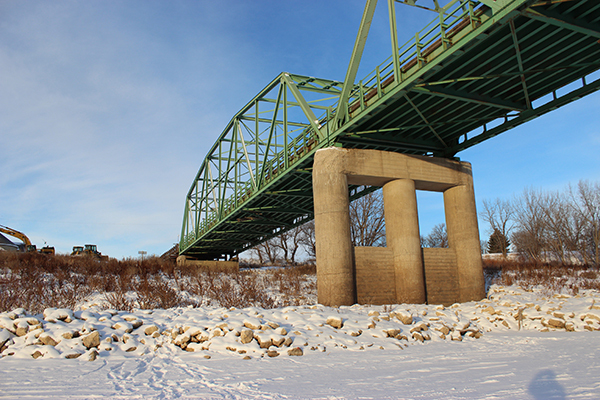 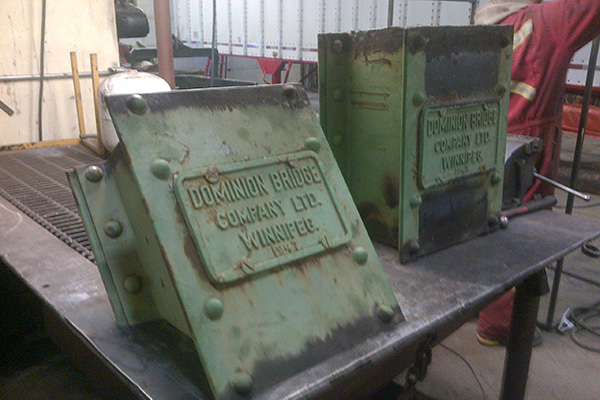 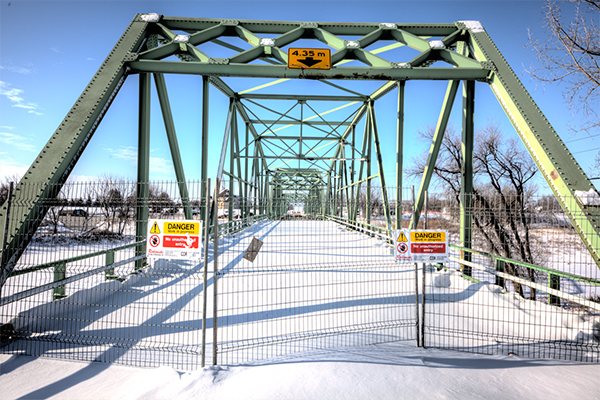 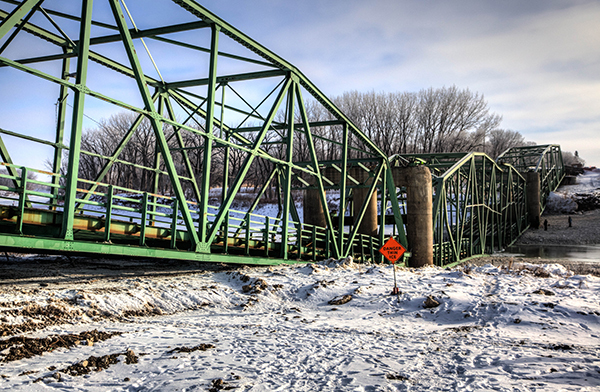 The bridge was brought down and removed from the river channel within a 24 hour period.